Viqarunnisa Noon school and college are most democratic and high ranking schools for girls in Dhaka, Bangladesh. There are about 2000 students in this school. Now I am writing here about its history, facilities, campuses, admission process, address and contact. Viqarunnisa Noon school and college is the most democratic schools for girls. 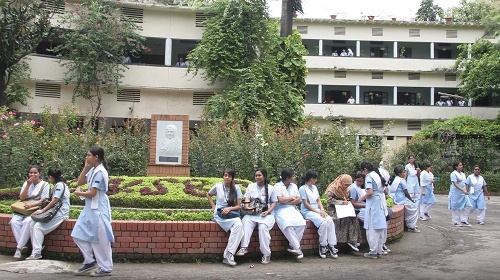 The school is situated in New Bailey Road, Dhaka. It is constituted in 1952 . Mr. Firoz Khan Noon was the Governor of East Pakistan. And His wife was Begum Viqarunnisa Noon. The school was established by Begum Viqarunnisa Noon. Mr. Firoz Khan Noon this school was named his wife Begum Viqarunnisa Noon name. The school was constited by responsibility. Then the school was named Viqarunnisa Noon school and college. Now I will discuss about facilities of this school. This school has many facilities for students. The school primary branch is very large. These branch look are charming. The school has 5 building. Vnscn provides extra facilities for students. This school gives are many buses and vans for students. It has a large library for all students. From here the students take their important books. These school has 363 higher educated teacher for only school section. This school weather is natural and well. Vnsc has two medium section. The school give acquirement to teaching skills . The clubs that collect inter college competition. The school has five clubs for students. Which the students can idea in any subject. These school clubs are given. Students attend in art competition. Vnsc celebrate the victory day and International mothers language day. These school arrange cricket and football competition. Every teachers and students can enjoy this completion. And win the prize all competition. Every year the school observe the pohela boisakh. Students participate in a display competition on the victory day. The school students are attend in badminton and handwriting program. I am writing here about Viqarunnisa Noon school and college campuses. This school has four campuses for all section students. New Bailey road is main campus of this school. Otherwise this college has also three campuses. Every campuses environment and rules are very well. All campuses are situated in Dhaka city. The campuses are. Now I am writing you some senior educated teachers name of viqarunnisa Noon school and college. Whoom this school take are going to progress way. Here I will try to write all address information about Viqarunnisa Noon School and college. You will want to know more information about this school. Then you will contact this website. These are given below. Finally, If you like our site and you get more information about viqarunnisa Noon school and college. Then you must continue our website.